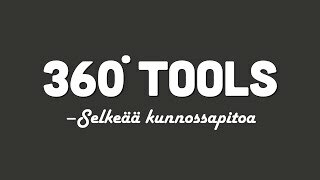 360°tools is our software family for maintenance and operation. The web-based 360°tools programs can be used anywhere and anytime. ePlant360° links devices, maintenance and device documentation to panoramic images of a plant. It significantly eases maintenance and servicing management. The intuitive ePlant360° interface is easy to use and fast to learn and we can customise it to your particular needs. eMap360° is a network maintenance and management tool. It is based on the ePlant360° way of working in which network parts, maintenance information and documentation are linked to a map view. The user interface can be used effectively to communicate with network customers via email and text messages. For more information please visit the 360°tools website.